But then below the chart are the rankings of a mountain’s “prominence.” Also called autonomous height, relative height, or simply prime factor, it’s basically a measure of how tall a mountain is relative to its surrounding topography. 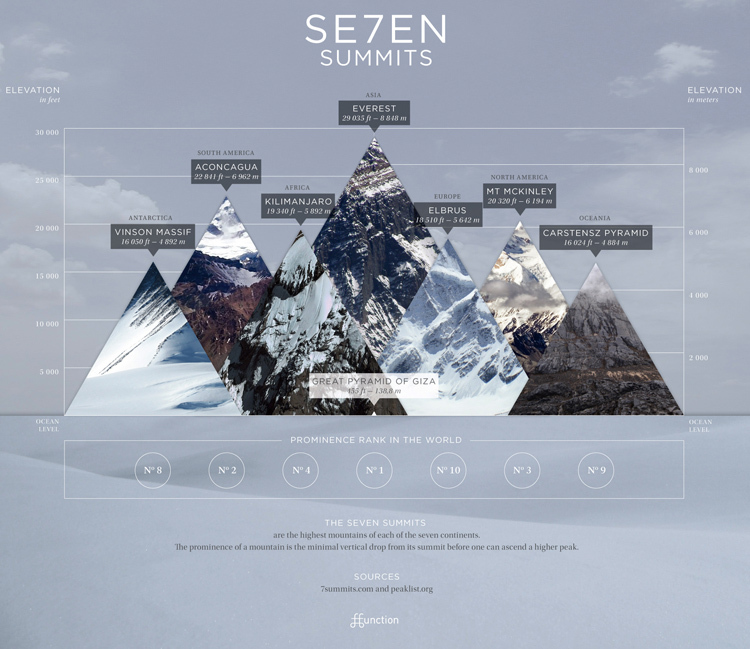 So you actually learn a little bit about what it feels like to climb a given summit. If a mountain is tall but has a low prominence, then it probably doesn’t feel all that dramatic — you feel like you’re on top of simple one mountain among many others. But mountains with higher prominence jut up from the land around them — the loom over the surrounding landscape. Thus, when climbed, they offer a more dramatic sense of ascent and greater views. And once you’re at the top, the give you more of a sense of being on the literal top of the world.